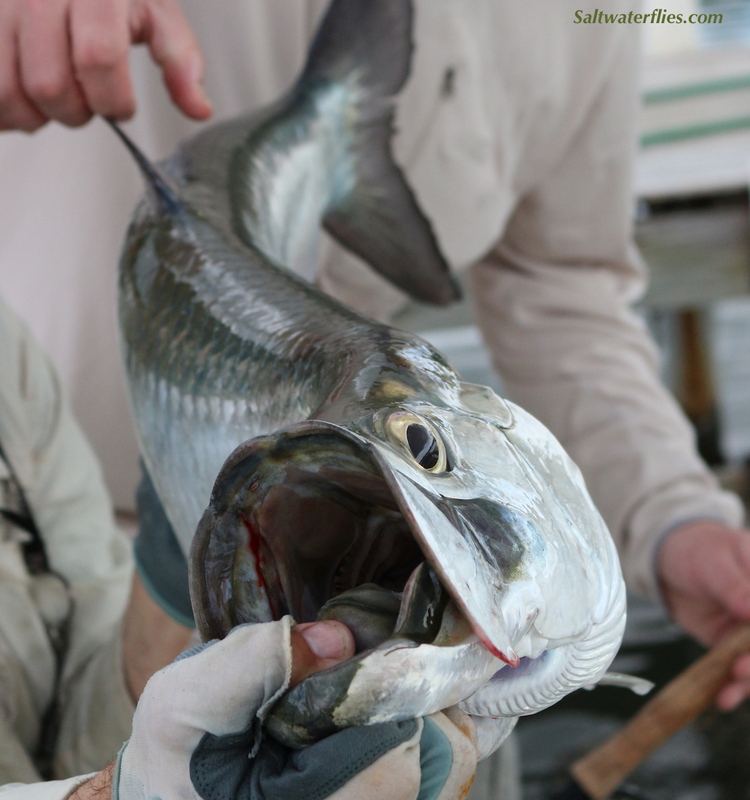 The Tarpon Dredger is a classic pattern for all kinds of deeper water tarpon fishing - bridges, channels, lagoons, jungle rivers, etc. 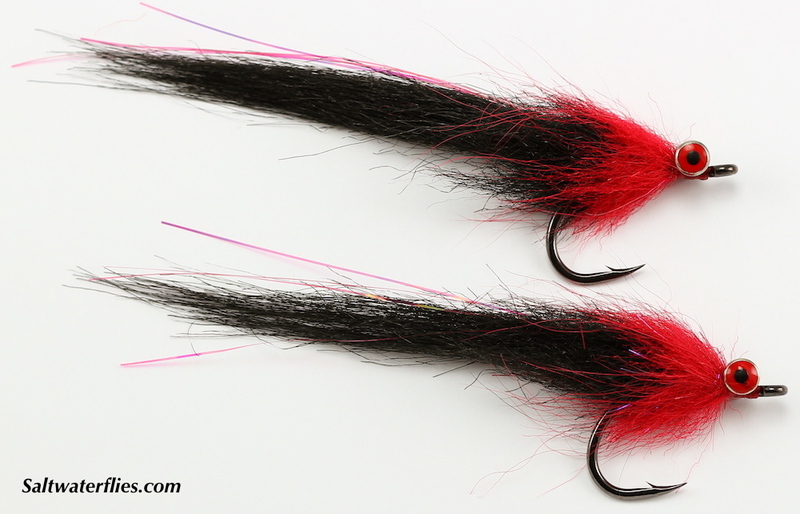 Also frequently called a "dredge fly" we offer different weights to cover a variety of conditions - a "lead eye" version which is the heavier one, and a "bead chain eye" version which is lighter. Great pattern for night fishing, dark water, and heavy current situations. This pattern is a must for fish holding in deeper water. 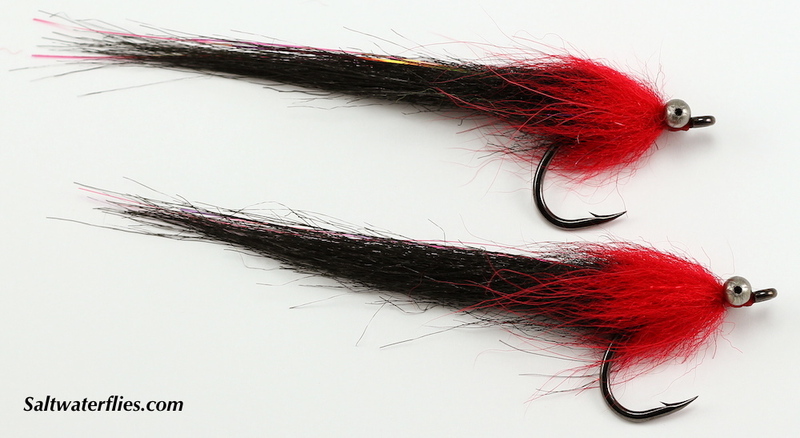 These #3/0 Tarpon Dredger flies are approximately 4 inches long (10 cm). Tied in the United States by Justin Pribanic on very strong Gamakatsu SC17 #3/0 tarpon hooks. Similar patterns: Whistler.